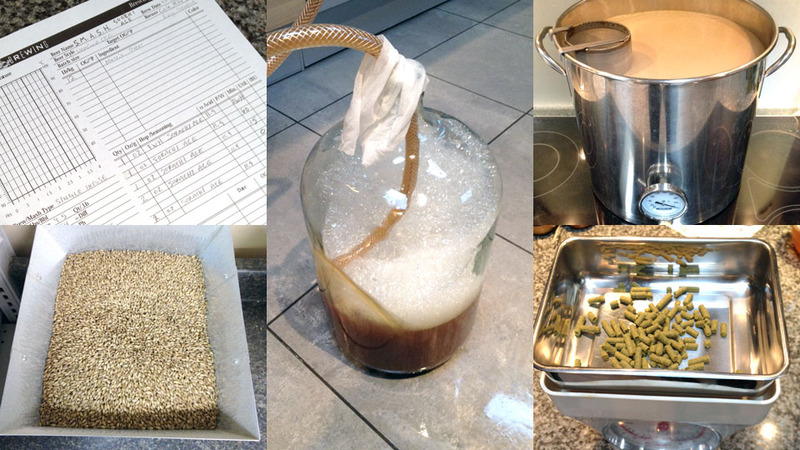 Some process photos from our first 2014 beer recipe! This is how the Black Sands Squad likes to bring in the new year. We have made resolutions to make massive amounts of homebrew in 2014! To start, we are dedicating ourselves to perfecting our latest ideas on the S.M.A.S.H. technique. S.M.A.S.H. stands for single malt and single hop. We are brewing a series of full flavored beers that each use just one malt and one hop variety. By limiting the variables of what goes into a beer, we can target in on specific flavors that come from a particular hop or malt. It's a great way for homebrewers to learn what hops and malts they like, and how each of those ingredients contribute to specific flavors, textures, and aromas in a finished beer. This batch uses Muntons Maris Otter Blend and Sorachi Ace hops start to finish.